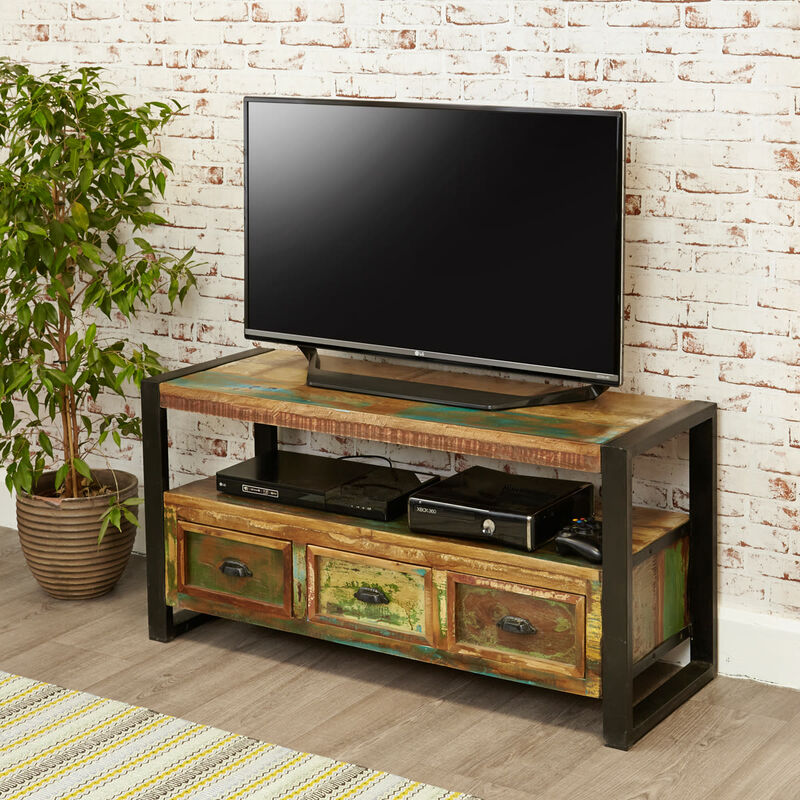 Bring the contemporary feel of an open loft space into your living room with this beautiful Urban Chic television cabinet. 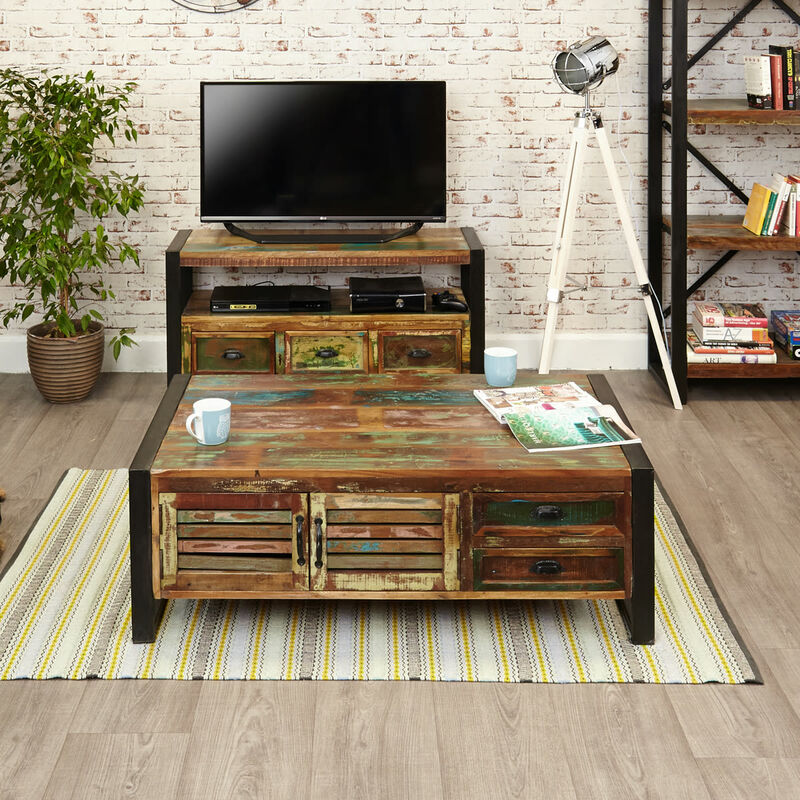 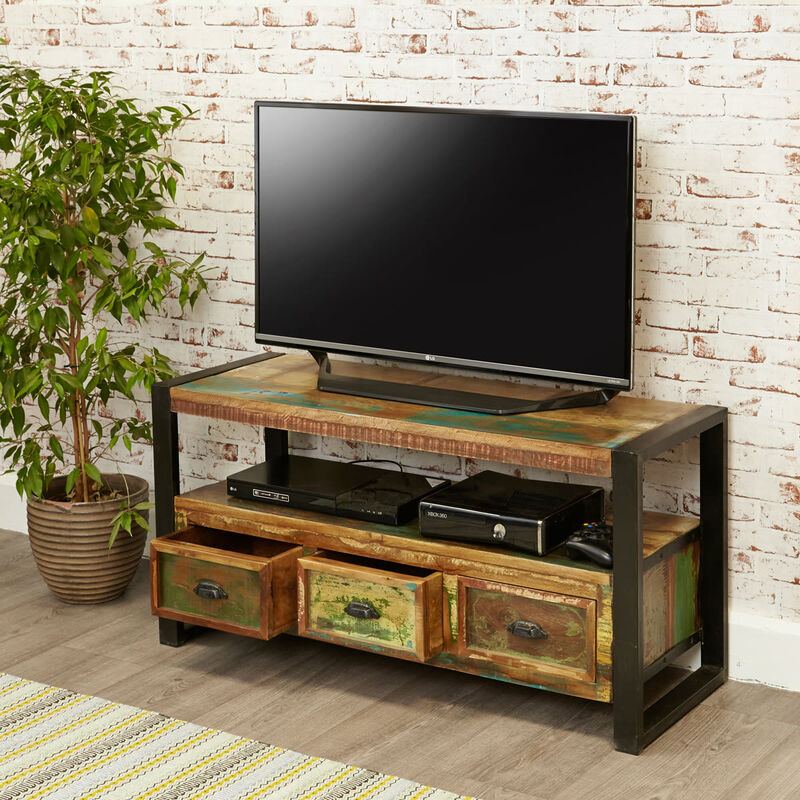 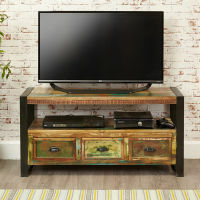 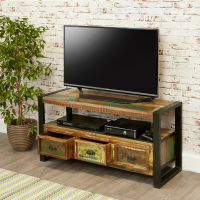 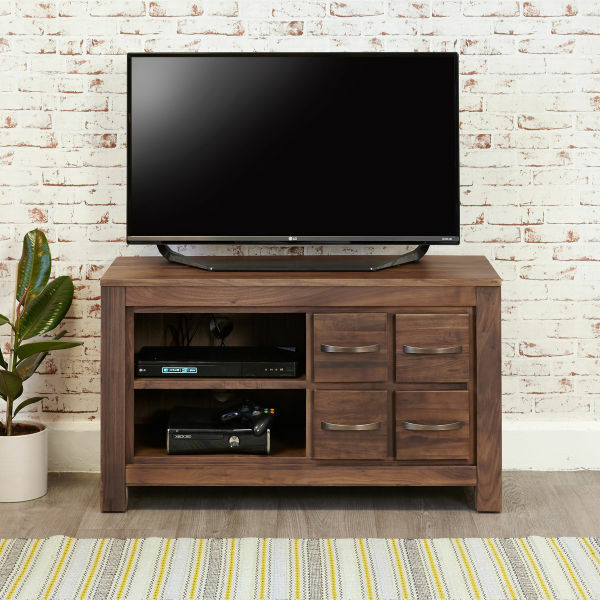 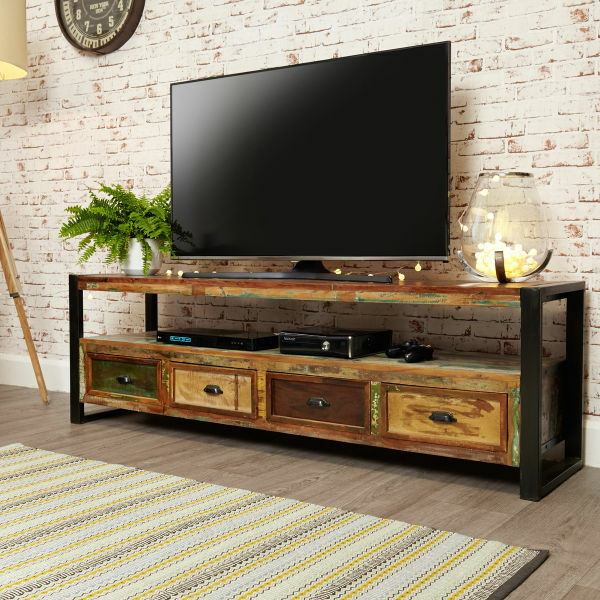 The cabinet is designed to hold a TV up to 60” wide and there’s plenty of storage, with a single shelf designed to hold ancillary units and three drawers for remote controls and DVD’s. 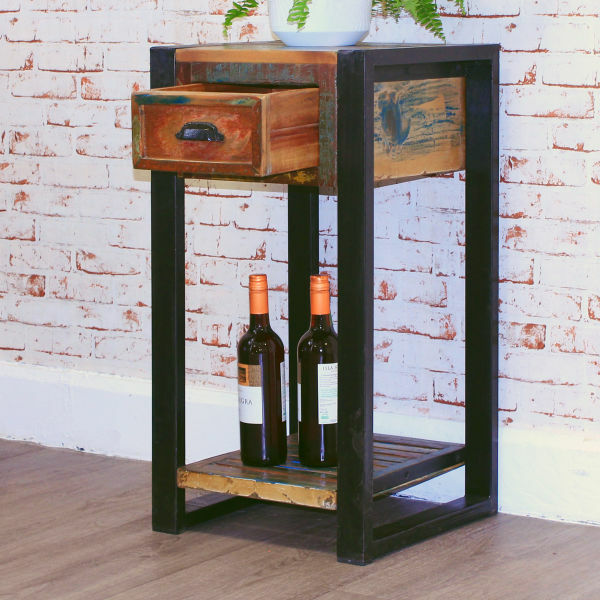 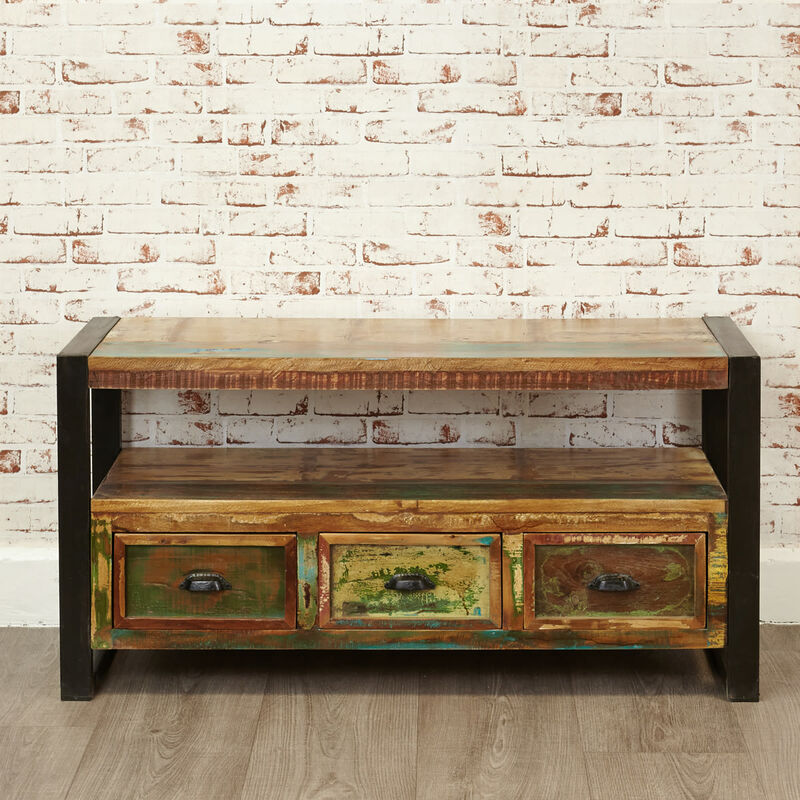 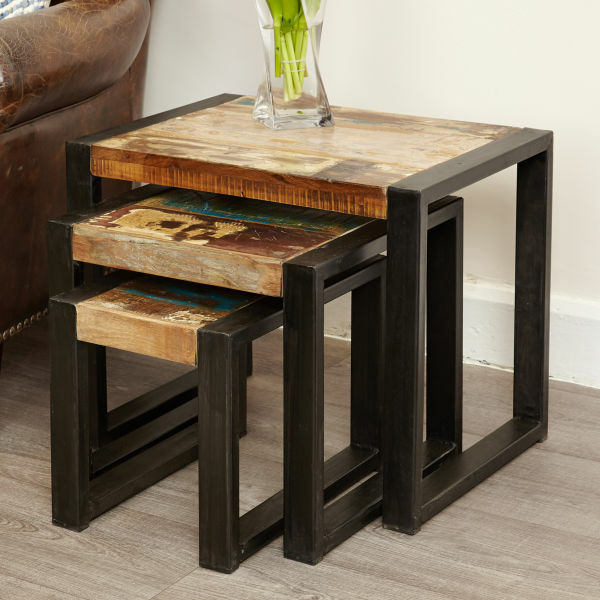 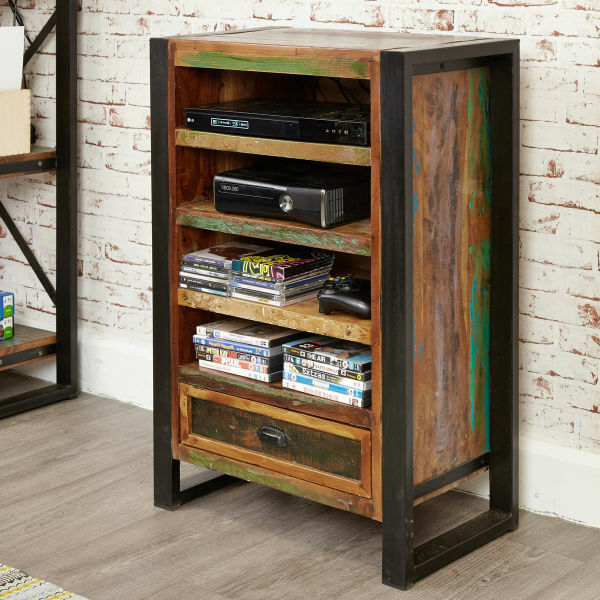 The cabinet has a steel outer frame which highlights the individual colour and character of the reclaimed timber that’s been used in these individual piece of furniture.